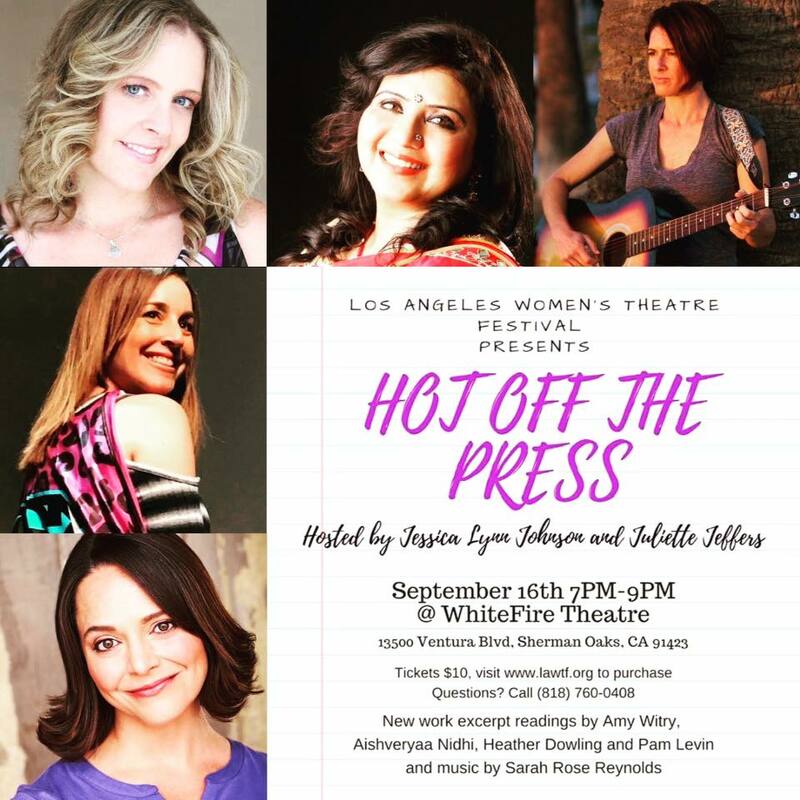 As a proud Board Member of the LOS ANGELES WOMEN’S THEATRE FESTIVAL, I am honored to Co Host “HOT OFF THE PRESS” an all female night of work in progress excerpt readings, post-show Q&A and music to fundraise for LAWTF. Featured performing artists include Amy Witry, Aishveryaa Nidhi, Heather Dowling and Pam Levin, music performed by Sarah Rose Reynolds, co hosted by Juliette Jeffers. Join us on September 16th 2018 7-9pm at WHITEFIRE THEATRE 13500 Ventura Blvd Sherman Oaks CA 91423 as we delve into 4 different solo-storytelling journeys and some beautiful music, exploring themes such as sexuality, marriage, trying to get pregnant, and much more! Tickets are $10 and can be purchased on our website, www.lawtf.org.Purchase your tickets by September 14th!